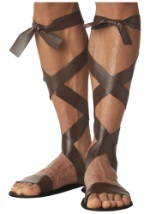 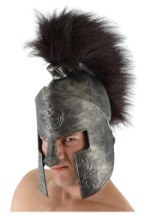 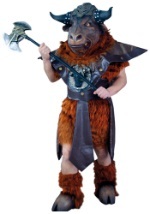 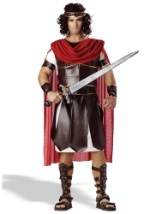 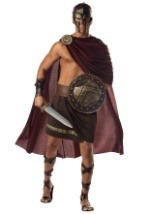 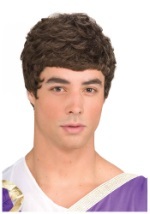 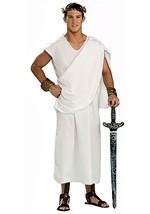 You won't be mistaken in this men's Caesar costume! 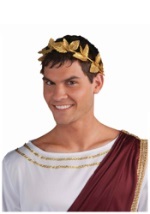 Straight from ancient Rome, this costume consists of a gold leaf headband that is secured in place with elastic. 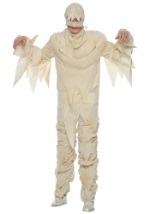 It accents the white, polyester robe which is trimmed in gold ribbon around the sleeves, bottom and neck. 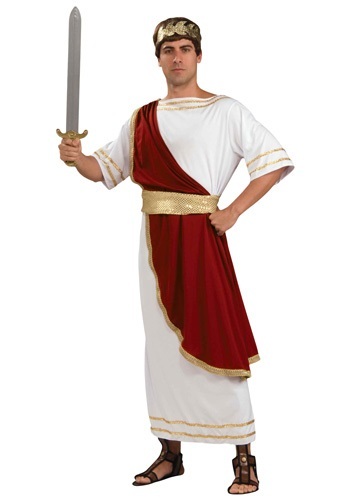 A maroon sash drapes down from the shoulder in the front and back. 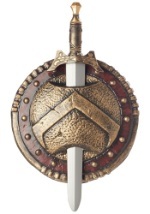 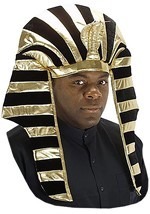 The sash is also lined with gold along the edge. 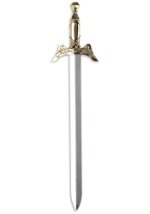 A gold belt with sequins ties around the waist with white sashes. 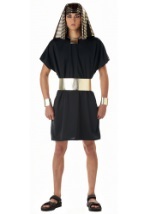 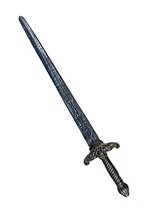 Great with our goddess or Cleopatra costumes!